Hi There! 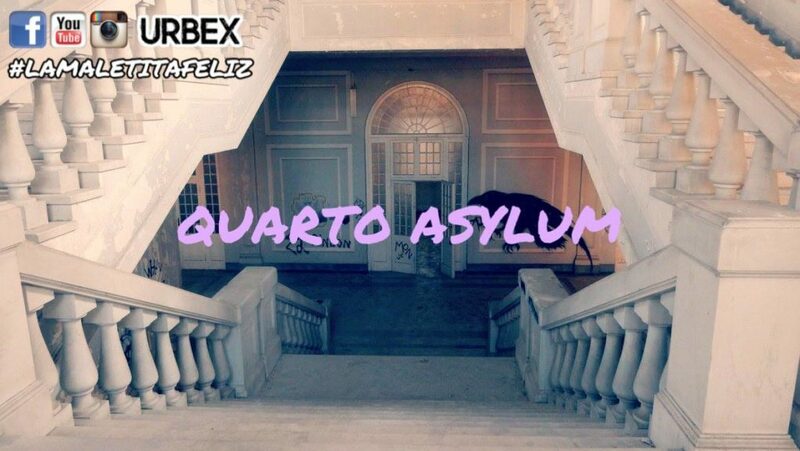 In this urban exploration me, Stefano and the Pink Fluffy Unicorn will take you to Quarto Asylum, known also as The Crow Asylum cause a big one paint on a wall. 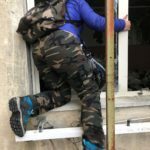 The entrance is quite complicated: some people asked me how to come in and I have to say that you should avoid the ladder under a window, because you seriuosly run the risk to break a leg. Quarto Asylum has a neoclassical style and a square plan divided into 9 parts. Only one part has been left behind, as the rest is an active ASL structure, so be careful not to get caught. The pavilions are all the same and apart from the great crow and spider, I found the exploration pretty boring. Quarto Asylum was built in 1892 to house the less serious patients, but in a few years it ended up absorbing patients from other Ligurian mental hospitals, so much so that in 1904 it had over 2000. After the First World War, the surviving soldiers who had been traumatized also found shelter. In 1933 the number of guests rose to 3600 and it was evident that the structure suffered from overcrowding. But here happened a very important event for the time: from the deeds were in fact removed offensive terms for the sick as a fool or alien (in the past those who had mental problems were defined as such) and this indicates a very rare humanization in places like this. It was abandoned in 1999 and was the longest-lived Ligurian asylum. The medical records of this asylum were collected from the project carte da legare (papers to tie up), very interesting archive (in Italian) that I recommend you consult. As I said at the beginning of the article, the entrance to Quarto Asylum is quite complicated, because you have to climb over a small wall and enter through a low window that you will find walking around the structure. There is also the possibility of entering from a high ladder, but you risk getting really bad. In addition there is the possibility of being seen both by the guardiola, and by numerous passersby, so be very careful not to attract attention. If you have some spare time, I suggest you to explore The Green Church, not so far from this asylum.